何必让遗憾放肆再重播- Why let your regret stir everything up again? 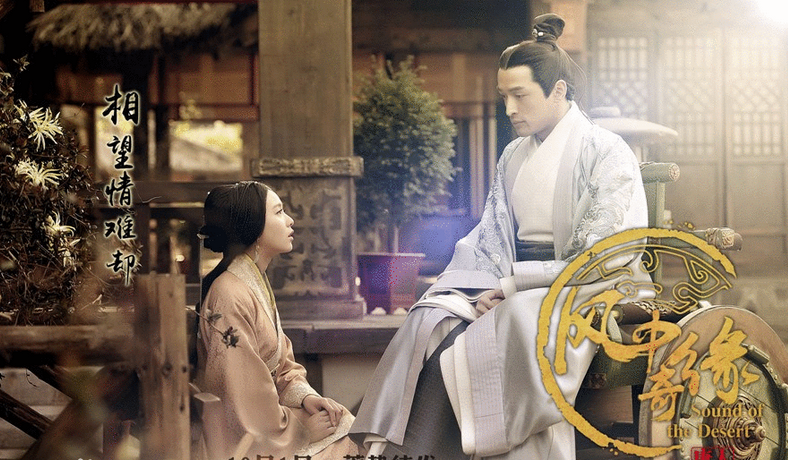 Tong Hua’s Da Mo Yao was a heart-wrenching love story set in a rich historical background. The song, sung by second (debatable) lead Hu Ge, is basically Jiu Ye’s (Hu Ge’s character) anthem. And this song, with the longing, the resisting, the comforting, and the letting go makes me want to re-read the book. While I will always love Huo Qu Bing, it is Jiu Ye’s struggle that we can relate to, his self loathing and lack of confidence is heartbreaking, which makes this song more poignant and beautiful. You can almost see Jiu Ye smiling sadly, silently staring at Jin Yu’s disappearing shadow while sighing on the inside. He’s right that the choices and mistakes were his but even in this song, even in the words of “let’s live well from now on” you can tell that he’ll be the one growing old alone, thinking back to his Jin Yu (Female lead played by Liu Shi Shi) with a smile on his lips and tears in his eyes. For anyone who wants to read the story – I suggest Ms. Koala of Koala’s playground who undertook the massive task of translating Tong Hua’s works. You can find it here. While you’re there, I insist that once you’ve cried and laughed through that book, you should try Ms. Koala’s translations for Yun Zhong Ge and Chang Xiang Si. Just have the kleenex ready and clear your social calendars. Thanks for the lyric translation dramatictealeaves! Can’t wait to fangirl and read your recaps on them. Long time no talk and I’m so excited for DMY. But also I can’t wait to share the next few chapters. I feel so bad having such a long break but the last few weeks were exhausting and I’m just getting back into the writing groove! love talking to you, can’t wait to fangirl together! awww thanks 😊 I have the best readers ever. im off to sleep but I’m looking forward to the next few weeks! Night! I hope you’ll have some nice rest after some exhausting weeks. Rest is really important for the body and soul and then you’ll be able to get back in the game. (= Have a good night!